In a country as big as Australia, driving is often a case of getting between Point A and Point B as quickly as possible. But treating driving as a chore risks missing out on some of the most glorious driving experiences the country has to offer. If you know where to look, there’s no shortage of world-class road trips in Australia. From sweeping ocean drives to sweltering excursions into the interior, Australia has something for everyone. So here are my top 5 jaw-dropping Aussie road trips. 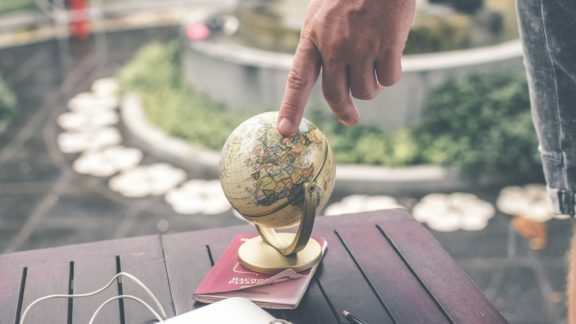 Make sure you take a read of these preparation tips before your Aussie Road Trip! 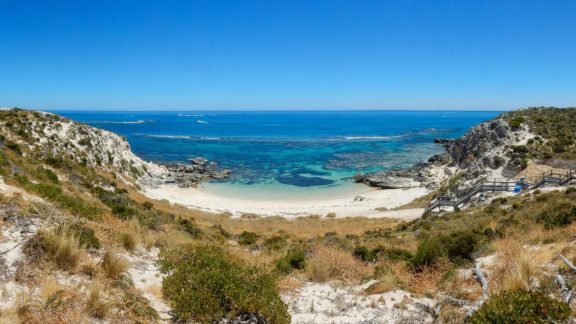 The Coral Coast runs for about 800 miles between Perth in the southwest and Exmouth in the northwest with untouched natural beauty for as far as the eye can see. You can do this road trip south to north or north to south but my personal favourite is starting in Perth and working your way north towards Exmouth. If you’re starting in Perth, get out of the city centre and find your way to Indian Ocean Drive. Once you’re there, point your bonnet north and step on the accelerator because you’ve got a long way to go. Moore River and the neighbouring National Park make an excellent first stop. The river, in particular, is a really odd sight as its orange brown water pours into the turquoise ocean. Beyond Moore River, I recommend stopping at Nambung Park, a huge sandy expanse dotted with mysterious stone pillars. It’s genuinely like something from another planet! Further north, lies the seaside town of Geraldton, the crayfish capital of Western Australia. Unless you’re deathly allergic to shellfish, you simply must stop here! In fact, even if shellfish isn’t your thing, it’s worth stopping at Geraldton for its fantastic water sports and glut of marine wildlife. Your next stop is Kalbarri, a modest 95 miles further up the coast. The Kalbarri National Park is a bit of unknown gem in Western Australia and includes a bunch of amazing gorge walks and other nature excursions! There’s also a Skywalk under construction (basically a massive walkway floating above a gorge) that’s due to open in 2019. From Kalbarri, it’s a short(ish) hop up to Carnarvon at the foot of Lake Mcleod. In Kalbarri, you can find the Space and Technology Museum, which is well worth a visit to learn about Australia’s role in Nasa’s history. After Carnarvon, it’s a straight shot to to Exmouth on the northwestern tip of Australia. Exmouth is a sleepy little town that doubles in size during peak tourism season so when you go will have a bit affect on how it feels. Sitting on a peninsula, there’s some great diving spots around Exmouth. The whale watching is supposed to be first-class too. 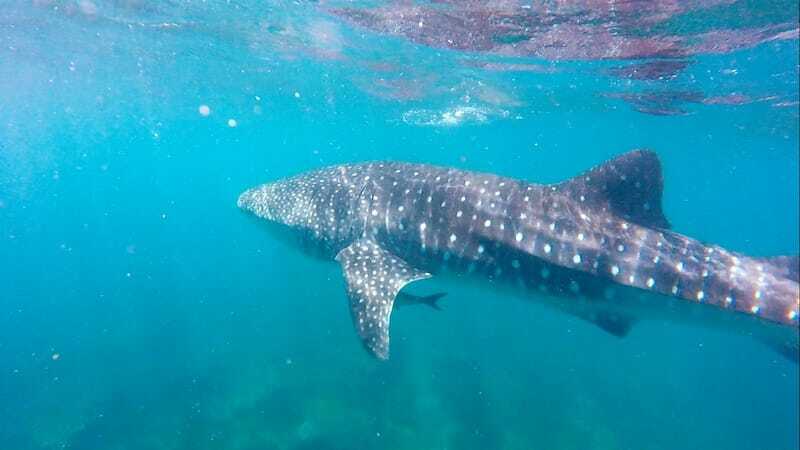 Depending on your schedule, you can break up the drive between Carnarvon and Exmouth with a quick stop in Ningaloo to swim in the Ningaloo Reef. It’s one of the longest fringing reefs in the world and is brimming with brightly coloured fish. You might even spot a whale shark! If you’re more into your city breaks than rural exploration, this is the road trip for you. The Pacific Coast Drive takes you between Australia’s two largest cities, Sydney and Brisbane, winding its way up the eastern coast. Starting in Brisbane, point your car south and drive from one painfully beautiful beach to the next. 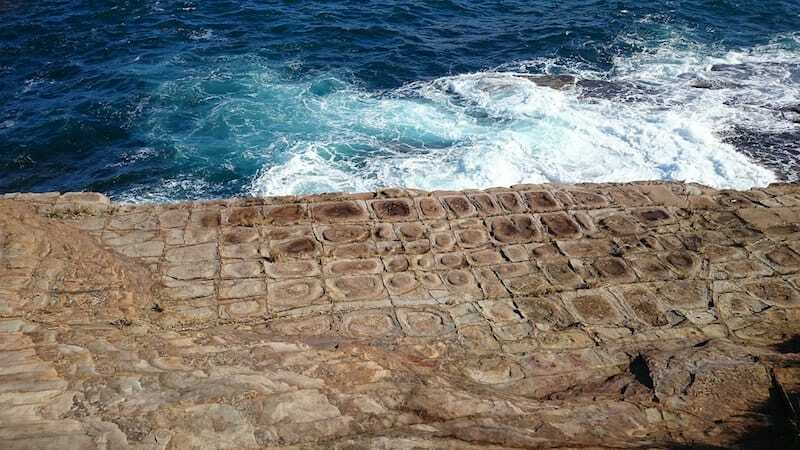 With its cute campsite, outstanding swimming and odd rock formations, Bouddi National Park makes a nice stopping point. 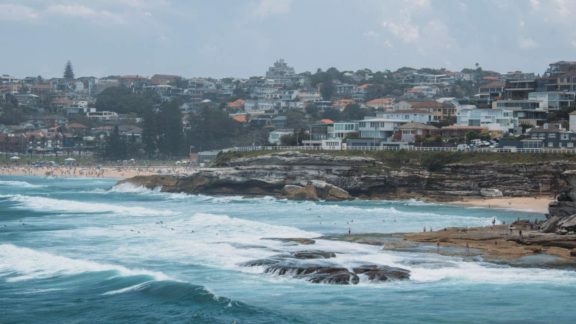 After that stop at Lennox Head for some sensational surfing and Byron Bay for… some more surfing! If you prefer taking to the water in a more relaxing manner, consider booking a whale watching trip as the road mirrors the humpback whales’ migration route towards Antarctica. Alternatively, head inland towards some of Australia’s finest wineries. Just remember to find one with an attached hotel or recruit someone generous (and sober) to drive your car afterwards! Personally, I think the best part of this trip is getting off the main road and exploring all the secret inlets and cove that dot the rugged shore. Turn off the highway, drive for five minutes and you’ll immediately find a private beach or secluded cove — the perfect relief after the manic city. At the end of the trip, it feels fantastic to roll back into the hustle and bustle of Sydney and rejoin civilisation with an ice cold beer or fantastic local wine. 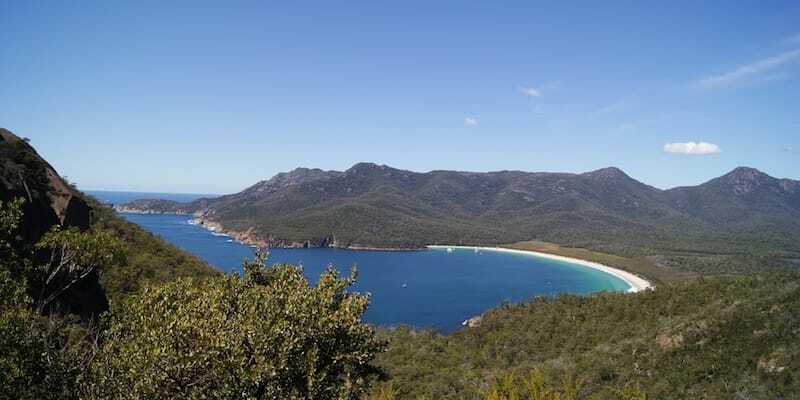 Sitting off the southeastern coast, Tasmania is an often forgotten portion of Australia. 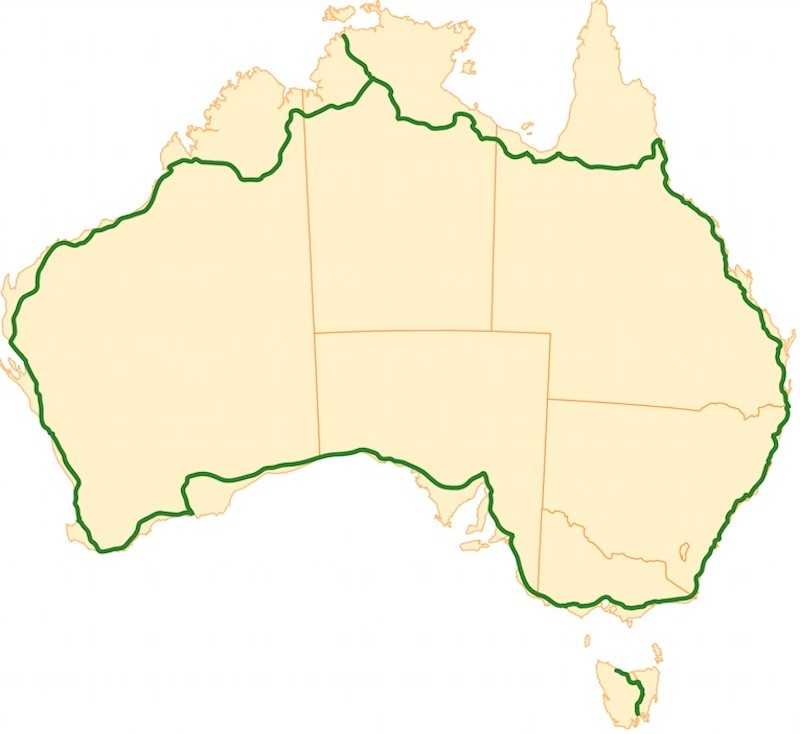 It also looks quite pokey next to Australia at 140 just miles long and 190 miles wide. However, don’t let its forgotten reputation or small(ish) dimensions fool you, Tasmania packs a whole lot into a very small package. To get to Tasmania, either hop on a ferry in Melbourne (it takes just over an hour) or take a short flight to the capital, Hobart. From Hobart, the coastal road winds around the island in a meandering triangle, allowing you to take in everything Tasmania has to offer. Expect sensational beaches, beguiling wildlife, fantastic hikes and so much more! You’ve had your starter road trips so now it’s time for the main course. Let me introduce you to the Big Lap, a 9,300-mile circumnavigation of the Australian continent. It takes in all five mainland states and all three internal territories. The Big Lap route isn’t exactly what you’d call sophisticated. Start at any coastal town or city and drive clockwise or counterclockwise on Highway 1 until you arrive back home! It’s not an exaggeration to say this is one of the great drives in the world as it takes in an entire continent’s landscapes, towns and people. One moment you’re cruising through Sydney, one of the great world cities, and the next you’re passing deserted white sand beaches. 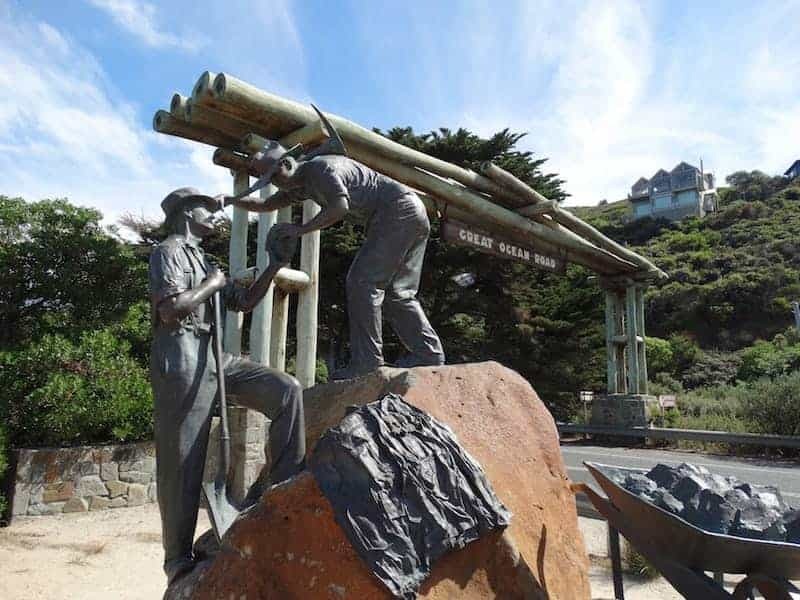 The one detour off the Highway 1 that I recommend you make is the Stuart Highway. Running from Darwin in the through the heart of the Northern Territory and South Australia, the Stuart Highway is your gateway to the interior of the country and, perhaps most importantly, Uluru. 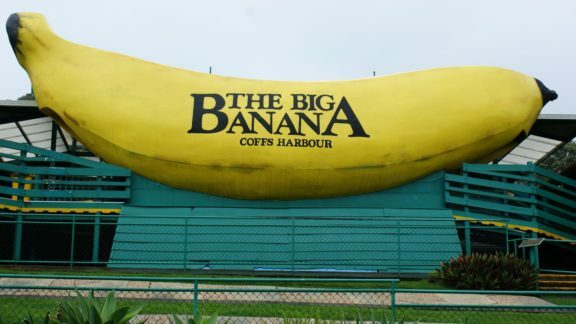 After ‘The Big Lap’ let’s take it down a notch to probably the most famous road in Australia. It’s also a nice easy drive compared to the other 4 Aussie Road Trips in this list. The most popular way to see The Great Ocean Road is to book on a day tour from Melbourne. You’ll see all the highlights of The Great Ocean Road and be back in Melbourne for a beer that night. This way you can actually fully enjoy the view, while your tour guide takes you from one place to the next, telling you all about it. You can also combine your Great Ocean Road trip with a Phillip Island Tour to see the penguins or a trip to the Grampians. Author: Tom Butcher is a freelance writer, covering a wide range of topics, including finance, business and motoring. At the moment, he is helping LeaseFetcher tell the world about car leasing.